The new fitness club in town has everything a health nut could ever want: a variety of workout machines, classes taught by friendly (and frisky) instructors, and a state-of-the-art computer control system for maximum client comfort. Unfortunately it's also possessed by the evil spirit of the owner's dead wife, and before long every dumbbell, leg press, and rowing machine becomes a deadly weapon for her to enact bloody vengeance on the club's beautiful members. So if you're looking for a real workout from hell, ever DEATH SPA – a new exercise in terror! While this one has it's moments... for the most part I had a hard time keeping my attention on it. Most the acting was sub-par. Some decent graphics but most were pretty bad. Over-all I have seen worse but this one is below average. Disney's legendary adventure is better than ever as Tarzan bursts onto Blu-ray for the first time ever with spectacular picture and amazing sound. Filled with thrills, laughs and Academy Award®-winning music (Best Music, Original Song, "You'll Be In My Heart," 1999), this family favorite will make you go wild. Disney's magnificent adaptation of Edgar Rice Burroughs' story begins deep within the jungle when baby Tarzan is adopted by a family of gorillas. But his "Two Worlds" collide with the arrival of humans, forcing Tarzan to choose between a "civilized" life with the beautiful Jane and the life he shares with his fun-loving friends and his gorilla family. 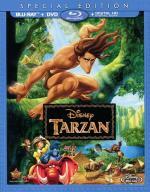 Enjoy this wild and wonderful adventure in a whole new way on Disney Blu-ray! I haven't seen this one in many years,,, not since it was originally released. It is one that has held up to the test of time. A great telling f the story that kept my attention with ease. Well worth the time put in to watch it. Experience a hilarious fantasy about the lives toys lead when they're left alone. 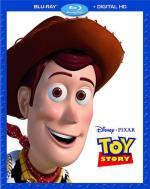 Woody, an old-fashioned cowboy doll, is Andy's favorite. But when Andy gets Buzz Lightyear for his birthday, the flashy new space hero takes Andy's room by storm! Their rivalry leaves them lost with a toy's worst nightmare - Sid, the toy-torturing boy next door. Woody and Buzz must work together to escape, realizing along the way that they've got a friend...in each other! This one I found to still be a fun animated film... but don't think it held up quite as good as the last one I watched. Still worth the time put in to watch it. October, 1957. 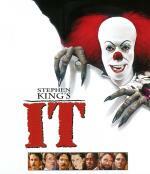 "It" awakens and the small town of Derry, Maine will never be the same, Stephen King brings to life every childhood fear and phobia as seven children face an unthinkable horror which appears in various forms, including "Pennywise" (Tim Curry) – a clown who lives, hunts and kills from the town's sewers. Years later, the surviving adults who are brave enough return to stop the new killing spree, this time for good. This is one of the King miniseries I like a lot... but for some reason seldomly watch. I guess it has something to do with the length of miniseries. This one is loaded with big names and is a story that easily keeps your attention. I am not a big reader so I can't compare the miniseries to the book... but it is one of my favorites of his miniseries. Twenty-five years ago, Top Gun took audiences into the Danger Zone with the blockbuster hit that made Tom Cruise a superstar. Now, with the 25th Anniversary Celebration, experience the film that remains one of the most high-octane adventures of all time. 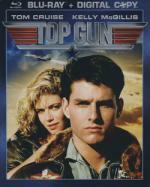 Tom Cruise plays Maverick, a hotshot flyer who is sent to the Navy's prestigious Top Gun program. But in order to become the "best of the best," he'll need the help of his wingman (Anthony Edwards) and new-found love (Kelly McGillis). Co-starring Val Kilmer, action-packed hit will take your breath away! People have told me for years that I need to watch this film.... but I never did... mainly because I never been much of a Tom Cruise fan. Now I must say I am glad I finally watched it. I really enjoyed every minute of it. I even liked Tom Cruise in it... not to mention several other big named stars that is in this one. If you are like I was... and never seen this one.... it is one I highly recommend. It has a lot of fun action and a great story. Don't be like me and keep putting it off. 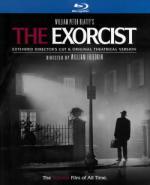 Controversial and popular from the moment it opened, The Exorcist marks its historic Blu-ray premiere in a 2-Disc Edition featuring Stunning Hi-Def Presentations of the Original 1973 Theatrical Version and the 2000 Extended Director's Cut. The frightening and realistic tale of an innocent girl inhabited by a terrifying entity, her mother's frantic resolve to save her and two priests – one doubt-ridden, the other a rock of faith – joined in battling ultimate evil always leaves viewers breathless. This greatest supernatural thriller of all time astonishes and unsettles like no other movie. This is a favorite of mine and my late wife's both. Though it did use to scare her to the point that she made me go to every room with her after watching it... as she was afraid to be alone. Sure it is a bit slow in parts. But the story is of such interest to me that it didn't "feel" slow. I of course love the head spin scene... and then there is the whole spider walk down the stairs scene... very cool. Definitely one I would recommend. Welcome to the future. Biological war has decimated life on Earth. Los Angeles is a windswept ghost town where Robert Neville tools his convertible through sunlit streets foraging for supplies. And makes damn sure he gets undercover before sundown, when other "inhabitants" emerge. 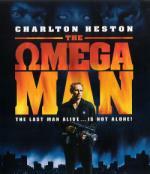 The Omega Man adapts Richard Matheson's novel I Am Legend into a high-impact, high-tension saga of a fate not far removed from reality. Charlton Heston is Neville, fending off attacks by The Family, sinister neopeople spawned by the plague. He also becomes a man with a mission after meeting Lisa (Rosalind Cash), another uninfected survivor – and guardian of some healthy children representing our species' hope. An enjoyable movie...though I did find it a little slow in parts. The entire cast did well... especially Charlton Heston was great. I can definitely see myself watching it again. All hell breaks loose when a tortured, misfit teenager (Sissy Spacek) unleashes her secret telekinetic powers against her psychotic mother (Piper Laurie) and sadistic classmates. Based on the best-selling Stephen King novel, this ultimate revenge fantasy is one of the all-time great horror classics! This is a movie I haven't watched in years. I enjoyed this more then I thought I would actually. I kinda remembered it as being on the slow side. Which it does have a few slow scenes. But it is still a good and interesting story. I liked everyone in the movie. Including Piper Laurie as Carries mother... though I do think that (maybe purposely?) over-acted the part. It wasn't really bad... more like a hard time believing that she was that much of a nut case. 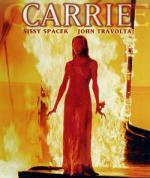 I think Sissy Spacek did a wonderful job in it. If there was anything I didn't care for in this movie is some of the split screens they used during the prom. It kinda took you out of the story and reminds you that it is just a movie. The Jurassic World theme park lets guests experience the thrill of witnessing actual dinosaurs, but something ferocious lurks behind the park's attractions – a genetically modified dinosaur with savage capabilities. When the massive creature escapes, chaos erupts across the island. Now it's up to Owen (Chris Pratt) and Claire (Bryce Dallas Howard) to save the park’s tourists from an all-out prehistoric assault. This one I enjoyed quite a bit. While the entire cast was good. The two young boys stole the show for me. Of course Chris Pratt was great too. 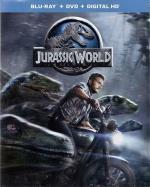 This film has lots of great dinosaur action and even a decent laugh here and there. If you haven't had the chance to see it yet.... I recommend it. I remember really enjoying this one back in my early teens when it first came out. I can't say it is quite as good as I remember it being. But I definitely enjoyed every minute of it. Of course I do have a soft spot for '80s horror... after all they are the movies I grew up watching. Sure, evil children has been done to death. Some probably done better then this one. And more times then not it seems to have to do with an eclipse when the children was born. But that don't take away from the fact that this one is good. It has some creative kills (gotta love the arrow through the peephole!) and a good story. 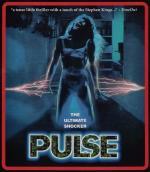 Prepare for a "gruesomely spine-tingling and stomach-wrenching" (Variety) journey into the heart of terror! When five unwary travelers with dark hearts stumble into a series of catacombs, they find themselves in a cavern with no way out. But the horror's only just begun as a mysterious figure appears to reveal to each person the shocking events that will soon lead to their well-deserved, untimely - and unavoidable - deaths! I found this to be a very good movie. I enjoyed all the segments (stories) in it. I think my favorite being the first segment. Though I do have to admit I prefer the Crypt Keeper of the HBO Series over the Crypt Keeper in this movie... he was just a whole lot more fun to watch. It's the first comet to buzz the planet in 65 million years, and everyone seems to be celebrating its imminent arrival. Everyone, that is, except Regina Belmont (Catherine Mary Stewart, The Last Starfighter) and her younger sister Samantha (Kelli Maroney, Chopping Mall), two Valley Girls who care more about fashion trends than the celestial phenomenon. But upon daybreak, when the girls discover that they're the only residents of Los Angeles whom the comet hasn't vaporized or turned into a zombie, they do what all good Valley Girls do...they go shopping! But when their day of malling threatens to become a day of mauling, these gals flee with killer zombies and blood-seeking scientists in hot pursuit! 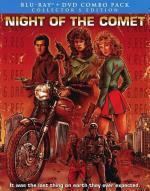 Sure this is a cheesy '80s flick..but it is one that I just find plain fun... nothing more then that. Just "leave your brain at the door" fun. It has a nice mixture of comedy that works well in my opinion. It is like a zombie flick with minimal use of zombies. I am so glad I upgraded this one to Blu-ray as the DVD release I had didn't have any extras. In today's world of modern conveniences, everything we rely on is run by electricity. But what happens if the power we take for granted turns against us? Old man Holger (Charles Tyner) knows. He claims electricity is a living presence, whose voice can only be silenced by getting rid of anything that can hear it. Bill Rockland (Cliff De Young), however, refuses to believe him. It must have been an accident when an electric spark ruptured the gas pipe that nearly killed Bill's son (Joey Lawrence). And it's surely a coincidence when his wife (Roxanne Hart) is severely scalded by their electric water heater. But when his own power tools attack him and an electrical fire turns their home into a blazing inferno, Bill realizes Holger may have been right after all, and perhaps the time has come to finally pull the plug. Unfortunately this one is not all that impressive. I mean it has it's moments...but they are few and far between. The movie is slow and I just couldn't get myself to care about the characters. Then there is the fact that the acting itself leaves some to be desired at times. Nicholas Cage, Bridget Fonda and Rosie Perez star in this irrepressible romantic comedy inspired by the true story of a humble cop who leaves a $2 million tip to a hard-luck waitress. This is a film I haven't seen in many years. And it was even better then I remembered it being. Nicolas Cage is pretty hit and miss for me... but I thought he was great in this one. A feel good movie which apparently is based off a true story. Definitely one I would recommend.